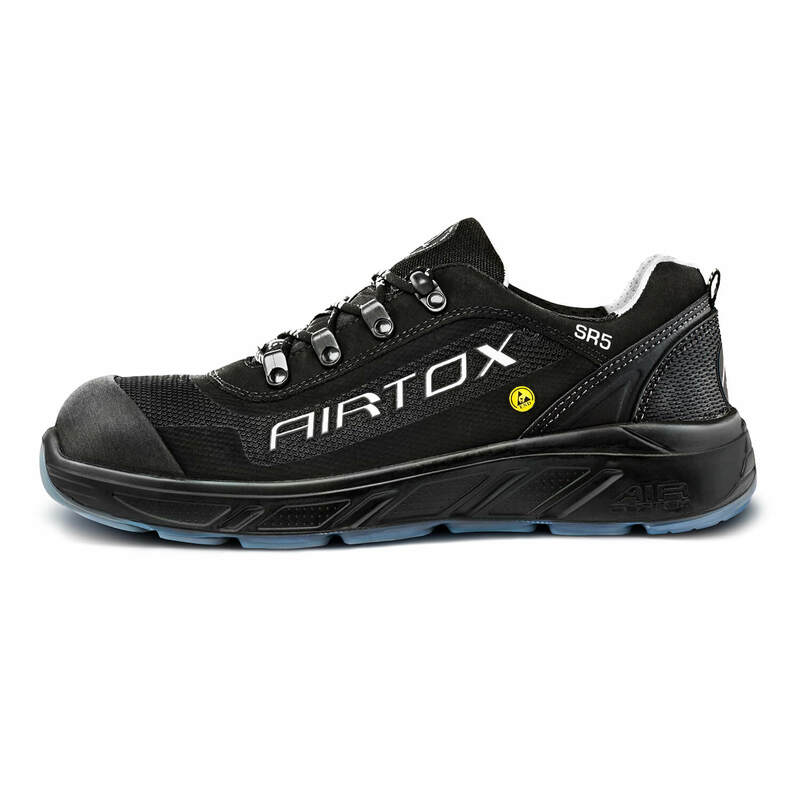 The AIRTOX SR5 safety shoes are highly professional footwear with the comfort and style of your best pair of trainers. Packed full of the newest technology, these safety shoes will keep you protected while staying highly breathable, flexible and comfortable at all times. How is the level of protection achieved in the SR5 safety shoes? The Tech-Fiber anti-penetration layer will keep your feet safe from nails and other sharp objects while allowing a lightweight and extraordinary flexible layer. 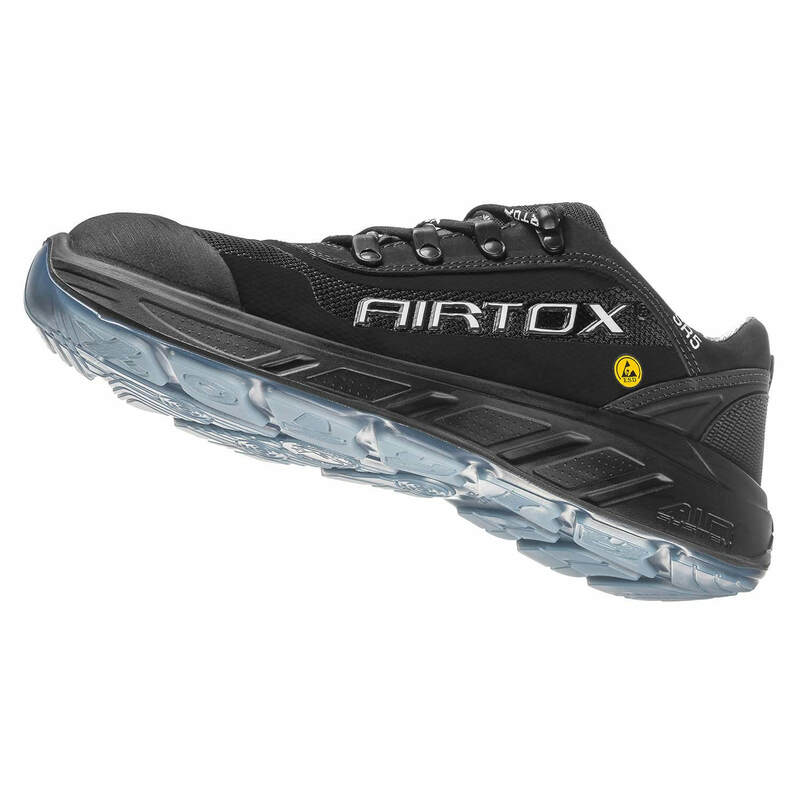 Toe protection is provided by the lightweight NEO-steel toe cap; an extremely strong and durable refined steel allowing the same low profile design known from regular trainers. The transparent TPU outsole provides fuel-, acid- and heat resistance (up to 150oC) and is perfect for those who want to prevent leaving black marks on flooring etc. 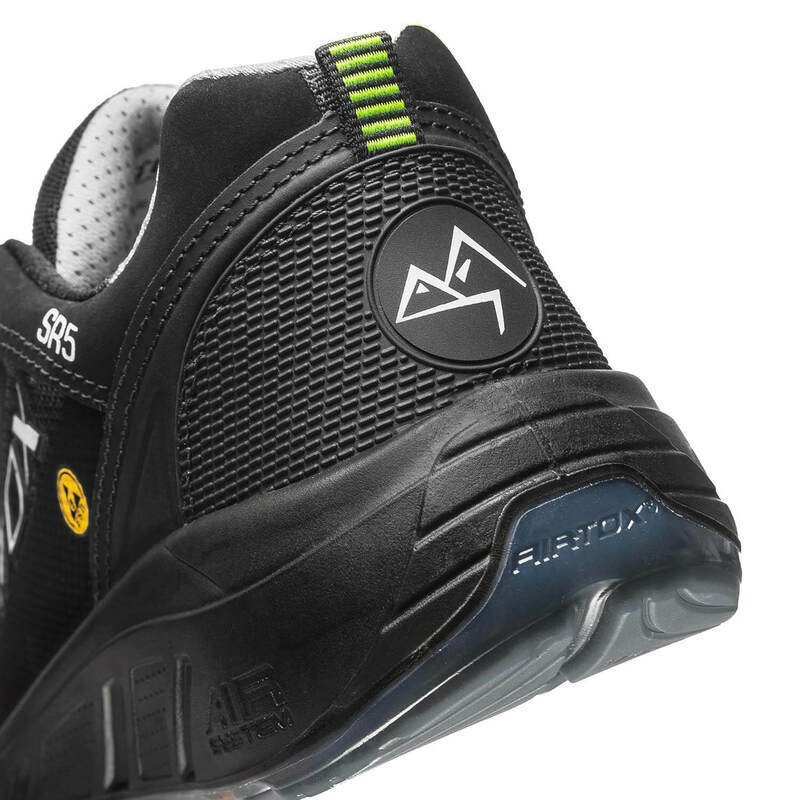 What makes the SR5 more comfortable than other safety shoes? 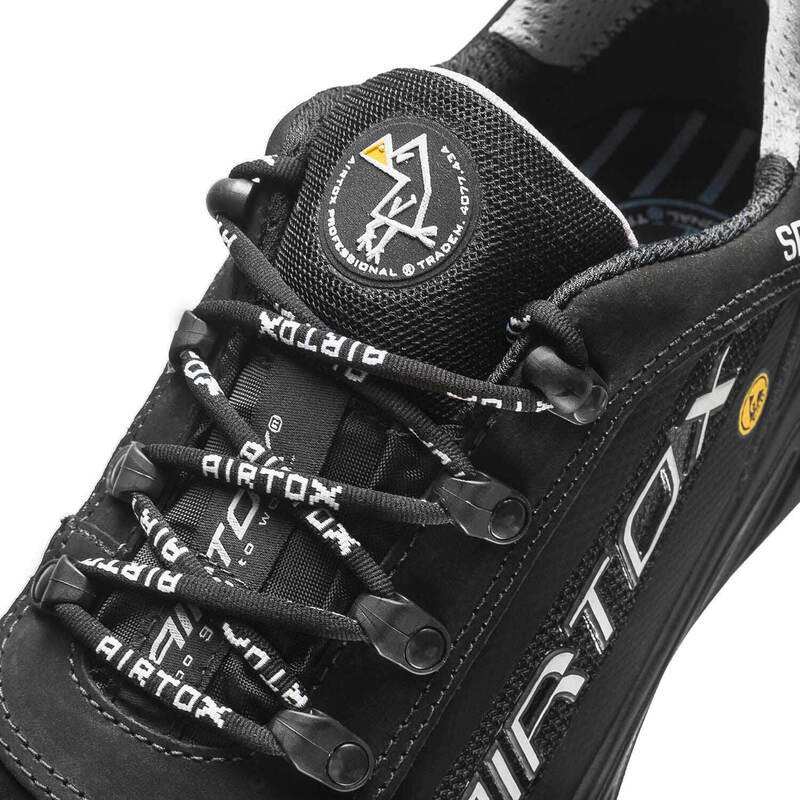 The SR5 safety shoes – like other styles from the AIRTOX S-SERIES – feature the famous AIR-system midsole; a lightweight midsole with an unprecedented level of flexibility and shock absorption that never leaves your feet tired or worn out. 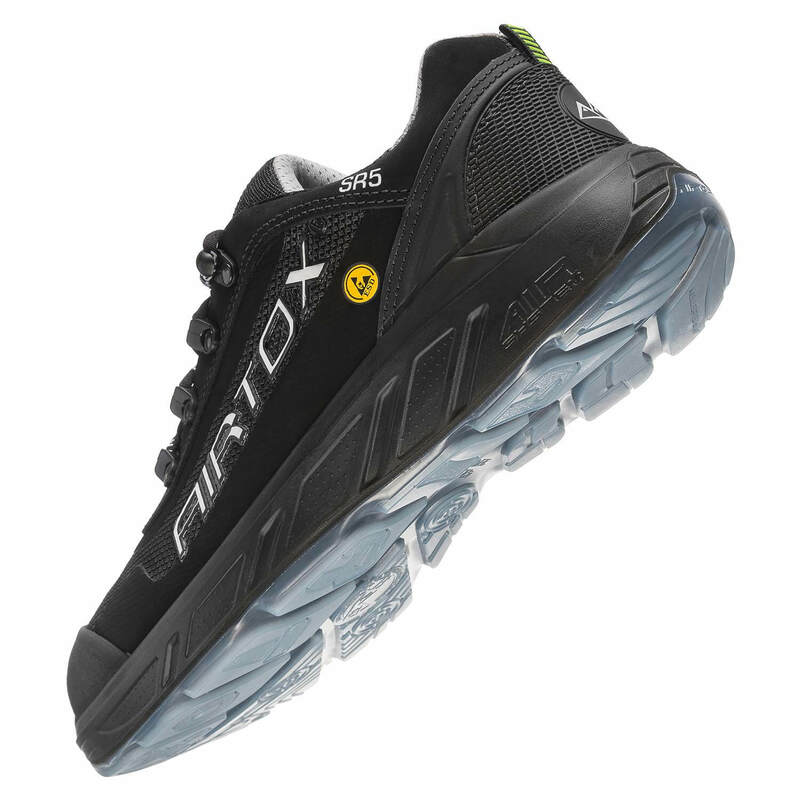 The SR5 safety shoe features an upper made from CORDURA textile; a highly breathable fabric that keeps your feet dry and ventilated at all times. Available in one color version: black with white details. Light construction, landscaping, manufacturing, warehousing and other areas where safety footwear is required. In FAQ you can find detailed information on how to take care of your AIRTOX shoes.